Pneu-Dart can only ship cartridge fired projectors to a Federal Firearms Licensed dealer in good standing. 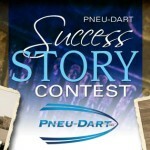 Pneu-Dart must have a signed copy of the dealer’s license before such a shipment can be made. The dealer receiving your order will be issued a copy of Pneu-Darts FFL included with the order’s delivery. If this is first time you have purchased a firearm, it is not a complicated affair. It should take less than ten minutes for you to fill out an ATF form #4473 and the dealer contacting an approving the proceed clearance from the National Instant Background Check operator. As a first step to order a cartridge fired projector, locate a FFL dealer that will work with you. A gun shop operator/owner or most pawn brokers will have a license. In this first step, have the dealer mail a signed copy of their license to Pneu-Dart via USPS or via fax. You may place your order for your cartridge projector plus accessories and pay for it at that time, along with any other equipment you may require. Practice darts, blanks, live darts, and all other items may be shipped directly to your residency or place of business. If you do not have a valid Federal Firearms License, we are not able to ship the projector directly to you. Your FFL dealer may want or need some compensation for maintaining their FFL fees, along with the short time consumption required on their part to complete the transaction. This should be a nominal fee however; as the dealer will not have an out of pocket investment involved as you can pay for the gun via your order. This small investment of your time and money can be well worth the effort over the long haul if you compare it with the un-gauged air powered models with valves, seals, and many more moving parts. When doctoring your cattle with the larger capacity darts, the cartridge fired projectors can over double the distance at which you will be able to make accurate dart placements as compared to compressed air or CO2 models. The exception is the gauged CO2 powered X-Caliber dart projector.